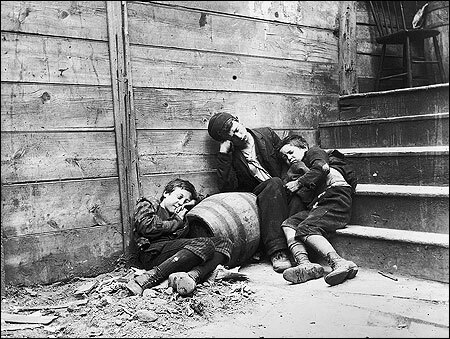 Jacob Riis. A police reporter and photographer in New York at the height of his career about 1890. He was born in Ribe, a little but famous town in Denmark, in 1849 and died worn out in Massachusetts in the United States in 1914. Ribe is a town with a cathedral, and in the Middle Ages, the kings lived there. It was grounded in the year 710. Jacob was an intelligent, but very restless boy. He was often punished in the Latin school for being lazy and rude, a terrible thing for his father to endure. Jacob’s father had worked himself up from poor conditions, so he did not look with kind eyes at the boy. In spite of poor schooling, Jacob spoke languages and read a lot of Dickens and Hans Christian Andersen. His father was a rigorous grammar school teacher in Ribe. 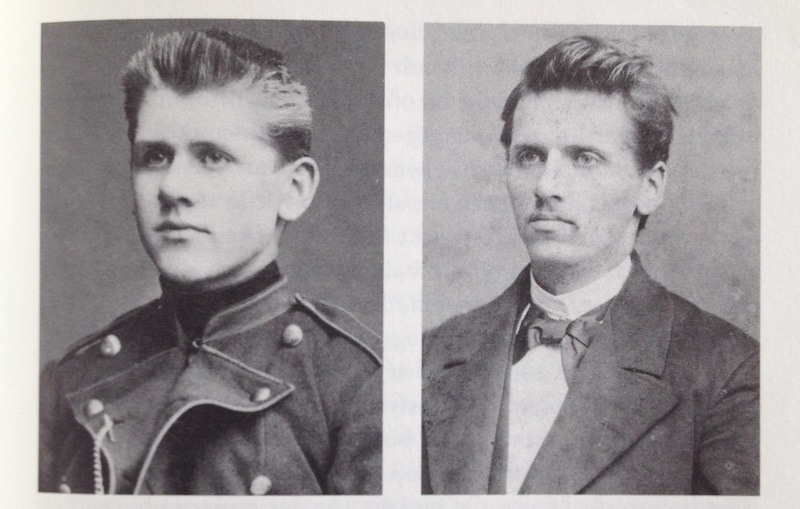 Jacob didn’t have a close relation to his father until he came home to visit as a famous Danish American a short time before the death of his father. His mother was the loving kind of mother, who had suffered a lot from losing many children due to deadly infections and accidents. Her first four children died at the birth or shortly after. One younger brother drowned in the river close to their house nine-year-old. When Jacob was ten years old, he had eight living siblings and an orphaned cousin. Only his younger sister, this cousin and Jacob himself managed to grow up into adulthood. He was genuinely in love with a girl Elisabeth Gjørtz an upper-middle-class girl, who never wanted him then, but he was faithful in his stubborn love over many years. 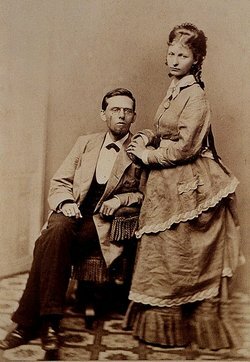 In 1870 Jacob A. Riis immigrated to the USA mostly due to a broken heart from the rejecting of Elisabeth. The other reason was his restlessness and not knowing what to do with his life. He knew that he was meant for great things though. Little did he know about the hardships he would meet after his emigration, twenty-one-year-old. He was now a carpenter, but his heart was not in it. I guess all the deaths of his siblings played a significant role to him being restless and not able to do his schoolwork. His relationship with his father was at a shallow level. An aspect maybe not thought of until now, more than a hundred years later. He took all kinds of jobs in New York and surrounding states, but often he didn’t get any salary, and in four or five years he nearly died from hunger and exhaustion living outside under bridges or in dirty hostels as a tramp. The only thing he liked to do, back home in his youth, was to help in an editorial office at a newspaper and the idea grew to become a reporter in New York. He succeeded and worked day and night. Little by little, he came in contact with the police department in the worst slum in New York, the area called Mulberry Bend in the lower east side of Manhattan. He worked at night and got hold of the horrible news before all the others. The rented blocks were so compressed that many never saw daylight. Many other than Jacob Riis was socially conscious, but he was an ardent writer and quickly found out that he could use a new photography technique to document the horrors he saw as a police reporter. 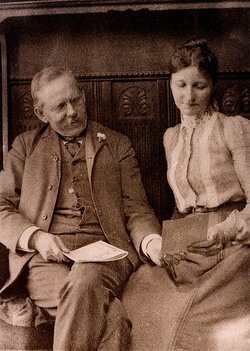 After six hard years in the states he finally managed to propose to his Elisabeth, whose fiance had died, and she was willing to marry him and move to New York. She was alone with their young children the first years as Jacob worked just as hard as always to make ends meet. It turned out that Elisabeth really loved him too and they wrote notes to each other when he worked nights. After some years he was able to buy a lovely home in Richmond Hill away from the busy and dirty Manhattan. He became a celebrity after his book release “How the Other Half Lives”. The photos shocked people as nobody outside the slum knew how it really looked. He started to give talks about the subject showing the pictures to the curious public. 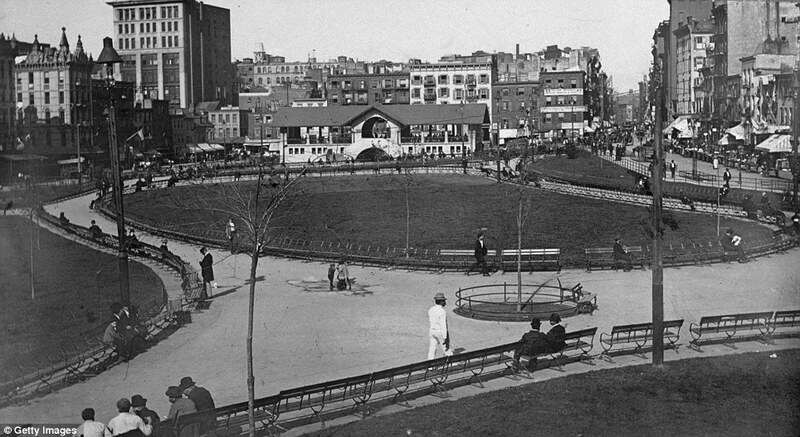 Years after he became famous he still struggled to have the worst buildings pulled down and in 1897 Mulberry Bend was demolished and became a park called Columbus Park. In his opinion much more should have been pulled down. He became very close friends with Theodore Roosevelt before he became a president and as long as Jacob lived. They were like brothers. 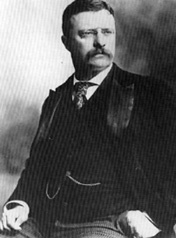 Theodore Roosevelt was so much more academically educated, but as soon he had read “How The Other Half Lives” T. Roosevelt wanted to follow Jacob Riis on his job in the slum prisons, flats and hostels for the homeless. Both men had enormous willpower and worked until they fell. Both managed failures and had comebacks. Jacob Riis was forgotten after his death. An interested student Alexander Alland from Crimea in the former Soviet Union had immigrated to New York in 1924. 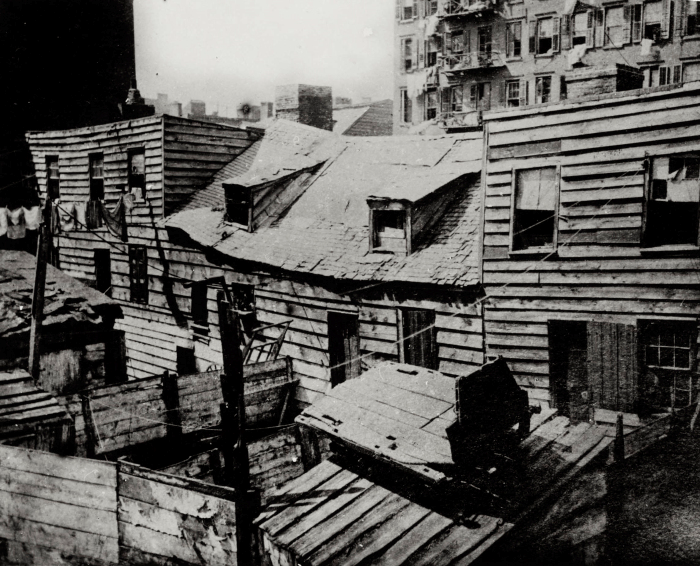 He also wanted to document the living conditions of the poor immigrant, and he too was a gifted photographer. A critic compared him with Riis, and he started to search for Riis’s photos. They were nowhere. Riis considered himself as a writer more than a photographer. Luckily, Alland managed to find a box of Riis’s original glass plates in the house in Richmond Hill. The photos were so unique that they were put in a special exhibition at the Museum of the City of New York in 1949. It became a success. “you should not stand out from the average”! Some years ago I saw his pictures at an exhibition, and the biography mentioned earlier inspired me to write about him. I found another post on his work in New York by a blog called The Selvedge Yard, an old article on “Victoria Richmond Hill” where he and Elisabeth built their home. If I ever come to New York again, I will go to the Museum of the City of New York, and hopefully, I will find the photos there. I include a film trailer about Jacob Riis’s life from his hometown Ribe’s 1300th anniversary in Danish. Awesome! I’m going to reblog this. I went to the Tenement Museum this summer. They have one house that was a tenement that has never been changed. I saw pictures probably taken by Riis. They spoke about how the writing and photographs helped improve the life of the people who lived there. Thanks for further information. Thank you so much for telling us about Jacob Riis, it was so fascinating yet so terribly sad that this Gentleman and his work is forgotten. 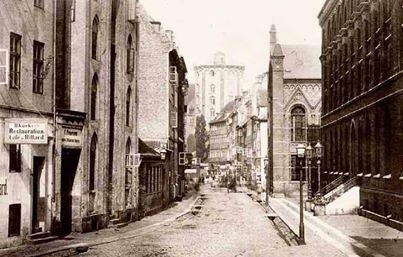 It is History, such wonderful photographs that depicted the condition of those areas at that time, are so important. If it had not been for you, I certainly would never have known about this Gentleman and his part in the History of new York at that time. I am by the way English. I so look forward to reading more from you. Take care, all the best for 2017. Anna.